A #1 New York Times Bestseller! After having his face sliced off one year ago, the Joker makes his horrifying return to Gotham City! But even for man who's committed a lifetime of murder, he's more dangerous than ever before. How can Batman protect his city and those he's closest to? It all leads back to Arkham Asylum... 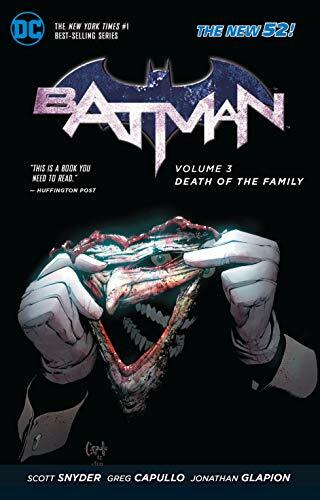 This new softcover collects the critically acclaimed tale "Death of the Family" from the superstar #1 New York Times best-selling team of writer Scott Snyder and artist Greg Capullo.